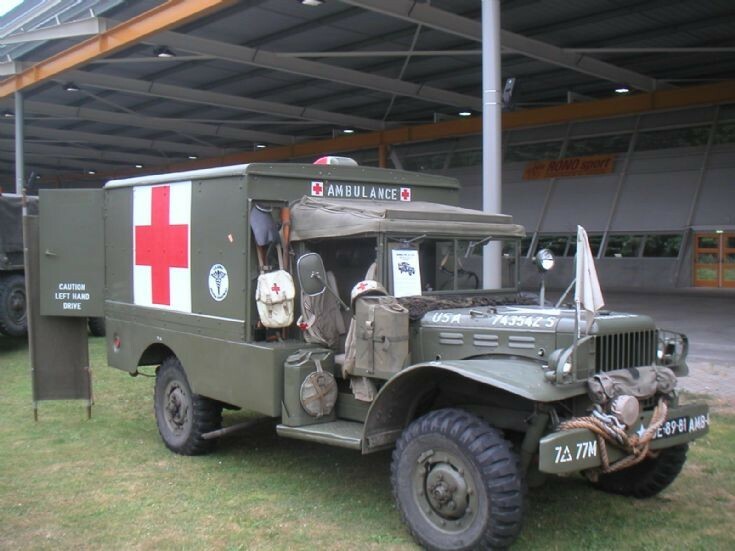 One of the rarest of the World War II military vehicles is the limited-production WC-64 "Knockdown" ambulance, commonly referred to as the "KD ambulance." The WC-64 Ambulance (KD) was developed in 1944 because its predecessor the WC-54 occupied to many space during shipping due to the one piece box-like body. On this vehicle, the rear body really was a box which could be easily dismantled into a series of flat panels to reduce the required shipping place. Once assembled, it was not intended to get disassembled again. 3,500 units were made from begin 1945 until the end of WW2, only a few have survived. The one on the picture is owned by G.Wilmes and the picture is taken on Veterans day, june 27, 2009, Eindhoven, The Netherlands.